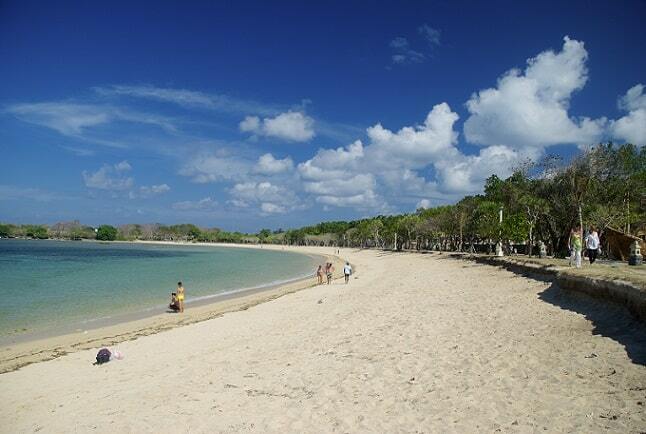 "Nusa Dua is only about 30 minutes from Kuta but the two are worlds apart. Nusa Dua is quiet and secluded. It is predominantly luxury hotels and a small shopping centre. The beaches are less crowded here but not that great for surf. Nusa Dua is not known for being a hive of activity. It is much slower paced then Kuta etc. There is a small shopping centre and some markets. Restaurants. Riding Bicycles. A great area to relax and unwind." 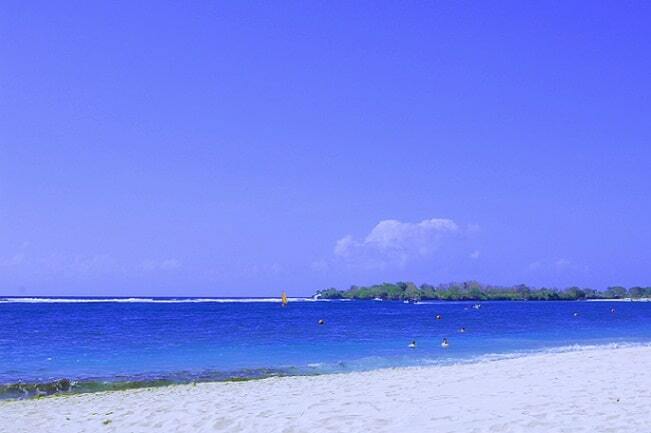 Nusa Dua is a modern seaside resort in the south of Bali on the Bukit Badung Peninsula. The name is also referred to the entire peninsula. The seaside resort is situated in the east of the peninsula. The construction of the resort began in 1973 based on a plan that was drawn up in collaboration with the World Bank and by the Indonesian government. The aim was to create a luxury resort for foreign guests, without bringing any harm to the traditional tourist attractions such as Kuta and Denpasar. Nusa in Balinese means "island" and dua means "two". There are two small islands in the area. The sandy beach of Nusa Dua is long and white, but at low tide you can walk to the reef and you can better be a beachcomber than a swimmer. Halfway along the coastline are the two small 'islands'. On both islands are a temple. Once a vast coconut plantation, now it is a paradise with tropical gardens, white sandy beaches, fine restaurants and the beautiful Galleria Shopping Complex. In the construction of modern hotels they took notice of the traditional Balinese architecture vision. In Nusa Dua you can go golfing, diving and snorkelling. The high prices and limited nightlife makes Nusa Dua less suitable as a residence for backpackers. Nusa in Balinese means " island " and dua means " two ". There are two small islands in the area. The sandy beach of Nusa Dua is long and white, but at low tide you can walk to the reef and you can better be a beachcomber than a swimmer. Halfway along the coastline are the two small 'islands'. On both islands are a temple. Once a vast coconut plantation, now it is a paradise with tropical gardens, white sandy beaches, fine restaurants and the beautiful Galleria Shopping Complex. In the construction of modern hotels they took notice of the traditional Balinese architecture vision. In Nusa Dua you can go golfing, diving and snorkelling. The high prices and limited nightlife makes Nusa Dua less suitable as a residence for backpackers . Nusa Dua is also possibility to book excursions for a camel ride. These camels walk along the beach of Nusa Dua with their escorts. It is possible to book these excursions at the reception of your hotel. These camel rides is great fun and a unique way to enjoy all the beauty that Nusa Dua has to offer. The rides can be booked for 1 hour and 2 hours. There are three golf courses in Nusa; Golf Course Nusa Dua, Bali Golf, Country Club and the Golf Amanusa. These golf courses are located in a beautiful area and are easily accessible. The courses are well maintained and are sometimes used for major competitions. Nusa Dua has not really a nightlife. 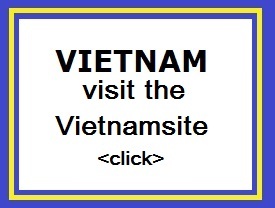 Most bars are in the hotels and are therefore the only nightlife in this resort town. The most foreign kitchens are well represented in the various restaurants. 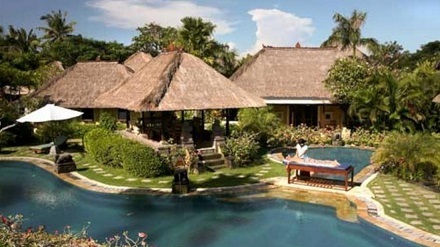 From traditional Balinese till western cuisine can be found here. The prices are for Indonesian standards on the high side and the quality is average. If you want to look further than the beach, you can visit Pasifika: Pacific Asia Museum (daily 10-18, Rp 70,000), due north of the access road from the Bali Collection. The Museum has a broad and fairly interesting overview of art and artifacts from Asia and Oceania, including Balinese paintings. For variety, it is nice to walk across the Nusa Dua Beach Boardwalk. This is a five kilometre long shopping street along the beach towards Tanjung Benoa. Set in the heart of Tanjung Benoa, the Rumah Bali Nusa Dua commands excellent views and provides access to some the city's best beaches. From here, guests are within minutes of the beautiful beaches of Tanjung Benoa as well as Nusa Dua, where there is a treasure trove of boutique spas and shops to be enjoyed. Guests will find all of the finest amenities in each of the 13 beautifully decorated rooms and villas at this popular 4-star hotel. Rumah Bali Nusa Dua also offers a lovely free-flow swimming pool for guests to relax in style. A charming hotel conveniently located in the picturesque peninsula of Tanjung Benoa, the Rumah Bali Nusa Dua will provide an unforgettable holiday. Shopping in Nusa Dua couldn't be easier - just take the free shuttle bus which stops at many of the hotels in the area and stops at Bali Collection shopping center. You can enjoy a meal or wander around the numerous shops and boutiques; all the restaurants and shops are clearly indicated on the map. Leaving the hotel area, stop by the local supermarket Hardy�s on the ByPass road. This famous Indonesian chain offers a whole range of food, drinks, liquors, local souvenirs and more. It is more expensive than local shops, but has a wider selection of good quality imported products. It is always good to check both and compare for yourself.